I attended a Grand Rounds on Chronic Traumatic Encephalopathy (CTE) and the NFL earlier this year given by neuropathologist Dr. Daniel Perl. It was eye-opening for me. Despite all the recent media attention given to cases of NFL players being diagnosed with the disorder post-mortem (usually following untimely deaths due to suicide or bizarre "accidents"), it hadn't really penetrated my consciousness. But to see the actual images of abnormal tau protein staining in these relatively young brains - heaps and tangles similar to Alzheimer's but in slightly different locations - well, it was chilling. Even more chilling was hearing about these findings in younger players, those without years and years of professional-level play. Including those without many (or any reported) concussions. I started thinking about all of the children in the US who play tackle football and wondering: When are these changes happening? Why aren't we talking about this re: children? How many mothers might not realize that their children could be sustaining irreversible injuries that only manifest many years later? This. is. huge. I debated whether or not to write about the issue. On the one hand, I felt passionately that discussing these issues was a matter of public health. Yet, I also weighed this against the likely backlash from football supporters and the kinds of personal attacks that commonly happen on the comment pages of online media forums. In the end, I decided that this was too-important of an issue not to write about, stick and stones notwithstanding. My op-ed is in today's USA Today. Would love to hear your thoughts (including dissenting! ), mothers in medicine, about this issue. Do you (would you) allow your children to play football? Do you think developing CTE is a reason for concern in kids? What do you think should be done to protect kids who play? Pediatricians, do you discuss this with your patients/parents? MiM Mailbag: Will pursuing medicine dream sacrifice family time? I came across this blog via “A Cartoon Guide to Becoming a Doctor” and have been a frequent reader of yours for a while now. You each give great perspective on what it is like to balance work and family. I am fairly young (22) and planning to apply to medical school within the next year. However, I am concerned about how much time I will actually get to spend with my family (many years down the road since I don’t plan to have children right now) AFTER residency. I figured its going to be hectic and crazy during medical school and residency so lack of family time was a given. I want to go into primary care (pediatrics) but I heard from several medical students and residents that you’re always on call because new mothers call a lot. My main concern isn’t whether I should go into pediatrics or not….it’s if I should re-think about going to medical school and pursue a PA program instead? All my life, my mom has been busy working to provide for my three sisters and I and was never able to attend any of my extracurricular events. I do want to be a doctor but I don’t know if sacrificing family time outweighs my dreams of pursing medicine. I have the impression (please correct me if I am wrong) that many Physician Assistants have “normal work hours,” which allows them more time with family and friends. I’m worried that if I do go the PA route, I wont be satisfied and will look back and think maybe I should have applied to medical school. I was wondering if you could please provide some advice…I know that I am not a mother yet, but I will be some day. Thank you so much! Do you remember when you were younger and you just couldn't wait for the next birthday? (or holiday? or summer? or Christmas?) My dad used to tell me not to wish my life away. Somehow, I feel like medical training and now, my career, has caused me to wish away a significant portion of my life. Wishing for first and second year to be over to get to clinical rotations. Wishing clinical rotations to be over to start electives. Wishing to get started in residency. Wishing to BE FINISHED with residency (probably one of my biggest wishes, ever). So now, I am here, through all of my training, practicing in what is pretty much an ideal situation as an Ob/Gyn. One weekday call per week. One weekend call a month (with the post-call Monday off). Nice offices, beautiful hospital, great staff, good patients; no doubt, I run from 7 am until 6 pm most days. I think that (most of the time) I am happy, but I still catch myself wishing for the day to be over, wishing for the baby to just come out already, wishing for the next weekend, the next break, to win the lottery, for the next chance to not do what I have spent a significant portion of my adult life busting my tail to learn how to do. What is wrong with me? Burn-out? Have I chosen poorly? Inevitable no matter what profession one has chosen? Is it human nature? Our we destined to continuously wish our lives away? What do you think? I never expected residency to be a cakewalk. I knew it would be hard, especially as a woman. Growing up in the deep South, I understood the concept of the "good ole boys' club." Believe me, it's still alive and well. In the dark ages, when I started residency, there was no 80-hour work week. We were expected to stay until the work was done, which admittedly prepared me well for the real world. As a new intern, I thought that if I just put my head down, did all the work, and never complained, that everything would be fine. More than one woman had already graduated from my training program, so I figured the ground had been broken. I was optimistic as I rolled up my sleeves and dug in. In my PGY-2 year, my fellow residents and I calculated that we were working about 120 hours a week on average, and that came to about 33 cents/hour. We tried not to think of that too often! In my PGY-3 year, I became pregnant (amazingly, nature cooperated with our plans). I spent my third trimester as the junior neurotrauma resident at the second busiest trauma center in the country. It was known to be the hardest rotation in the program. I caught the expected grief from my (male) fellow residents, but I never missed a day of duties or call. I worked up to 38 weeks as planned. I took maternity leave (after a C-section) during my neurology elective, during which one did not take neurosurgery call; my fellow residents were therefore inconvenienced not one whit. Things went fairly smoothly after my return 6 wks postpartum, to my mind. Fast forward through lots of backbreaking work to PGY-6, my last year. I had just completed a complex spine fellowship and was looking forward to a happy ending in about 6 more months. It was fun teaching the junior residents basic neurosurgical skills. I had a happy, healthy 3-year-old son and a loving husband. I could see the light at the end of the tunnel. One afternoon, I went to one of the ICU's to deliver the articles each resident had to present at journal club the next morning. I approached a group of about 5 younger residents and greeted them as usual. One of our attendings was doing paperwork nearby. I held out an article to a PGY-5 I'd worked with for years. He glared at me and said flatly, "I'm not taking this. I have plans this evening, and I don't have time to prepare. You'll have to do it!" I stared at him, taken aback, as he stood there oozing belligerence. Then the other residents chimed in. In the middle of the busy ICU, they took me apart, my colleagues who I'd worked beside, covered for, praised and supported. "You are so lazy." "You have a terrible attitude." "You never seem to be there to help with anything." "We're tired of working with someone so lazy." "This is all your fault." "Lazy." "Lazy." "Lazy." It echoed, etched itself in burning letters in the air. I don't remember much else of what they said; mostly I remember the looks on their faces, the silence of the one resident I thought I had known the best. I hadn't known them at all. And they didn't know me at all, these men who all had stay-at-home wives who took care of everything for them, had their children, made them dinner. They could carelessly condemn me without ever having been to my home, met my family, asked me anything about my life. They could never know the phone calls I'd taken for them, the things I'd done with patients in the afternoon so the call guy wouldn't be bothered. So much they didn't ever know, and didn't really care to know. So much hard work I'd done that had made no difference. I remember leaving the ICU, articles in hand, without seeing anything around me. I paused in the parking lot just outside the door; turning, I saw the attending just behind me, and I knew he'd seen the whole thing. I asked, "Dr. X, could I talk to you for just a minute?" To my complete astonishment and dismay, he stammered, "Have to be at, ah, a meeting, ah..." and actually *ran* to his car, leaving me standing there. So much for expecting any support from on high. I went straight home and sobbed on the sofa for an hour, unable even to tell my husband what was wrong. Then, as a good neurosurgical resident should do, I prepared all the articles myself. I walked into journal club at 6:00 am and presented them all. I explained to the chairman that it was all my fault they didn't get distributed. And then I went to the OR. For the next 6 months, those residents made my life miserable. Every day, I dreaded walking into the hospital. I dreamed about the word "lazy." I never, never asked for help, because you don't do that in neurosurgery. I blamed myself, because that's what you do as a surgical resident, even though I knew better. But I faced them all down, every day. It was the hardest thing I had ever done. To this day, I still don't know why they did this. I'll probably never know, since I avoid the residency reunions held every year at the national meeting. I was so relieved to get in the moving van at the end. Shortly before we left, the chairman held the annual dinner honoring graduating residents (there were two of us). My fellow residents had prepared the slide show, including a section spoofing the "Priceless!" commercials on the air at the time. It intimated that getting gcs15 to come in to help with a case was "priceless." My husband and my co-senior resident's wife got the same "spouse's gift" - a dried flower arrangement. My neurosurgical training was excellent, and it has stood me in good stead over the 10 years since finishing. I have enormous respect and gratitude for many of my professors. I can say that I am a good surgeon with confidence. I love my profession, and I still can't imagine doing anything else. What I have come to realize, however, is the destructive effect residency had on me. I'm sure I'm not the only one. 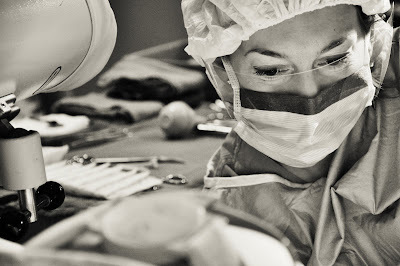 I love neurosurgery, but I hate its culture. The primary tenets are: don't ever complain and always accept responsibility, even if it's not your fault. Most importantly, don't EVER, EVER, ask for help. If you do, it's a sign of weakness. If you do, you are not worthy of Neurosurgery. Call me if you need me... but don't call me, because you will be vilified. This is true in training, and it's just as true in practice. And if you don't fit the neurosurgical stereotype, you don't "belong." I have never really gotten through the Valley of the Shadow. I have worked harder and longer than I should have worked to prove to everyone, especially myself, that I am not "lazy" after all, even though I know I never was. I swore that no one would ever speak to me again like those residents did, and I found myself unleashing a tirade on an anesthesiologist once because of that. He started off, "The problem with you is..." and I just snapped. It was visceral. The shadows still darken the valley. Running a neurosurgical practice is hard, complicated work, but I have made it harder than it should be. Because of this, my family has suffered. I have tried very hard to strike a balance, but it has not been enough to avoid inevitable crisis. Wisdom is only gained through hard experience; I hope I have enough now to finally get past the demons. With this, much of the fault is truly mine. I should have forced myself to exorcise them long ago; I underestimated their menace. To those who would tread the path of surgical subspecialty, I say it can be done. I know what I must do to correct my mistakes and make things better for my family. You will make your own mistakes and face your own Apollyon, but you too can overcome. One day, the culture will change. We must make it so. It was 6 months ago that I said to my husband, “Gee, our bathrooms are pretty grimy. I’m going to make it a priority to clean those.” Babyboy was 3 months old, and it seemed normal and reasonable that the bathrooms would be less than spotless. We were new parents. I had a hard time breastfeeding. I was tired. My husband was working, which meant traveling a lot, and he was pretty tired. But I really thought that we would get around, somehow, magically, to the cleaning of the bathrooms...and to mopping the kitchen floor, wiping down the refrigerator, reorganizing the cellar, laundering the curtains. But I went back to work in the clinic, and we fell into a busy rhythm... and all those tasks that so need to be done so never got done. We did the basics: the essential laundry (especially when there was poop or spitup involved), an occasional vacuum of areas that guests might see (usually five minutes before they were to arrive), a hasty wipedown of the downstairs half-bath (ditto), and picking up the cat puke (generally within 24 hours of seeing it). You know, the basics. So, nine months after the birth of our first child, my husband and I realized that if we ever wanted a truly clean (or even minimally hygienic) house again, we needed to pay someone else to do it. What really spurred us was the idea of a CRAWLING BABY. All the magazines say that to prepare your home for your exploring infant, you need to get down to your child’s level to look for potential danger: uncovered outlets, small objects, sharp corners. Well, I got down to ground level in our dining/living rooms one day and scanned from under the dining room table to under the sofa. I saw: crumbs, identifiable bits and pieces of dried-up food, scattered kitty litter, massive dust bunnies (bunnies is too tame a term, these were more like dust-beasts), mangled cat toys, and dirt. Lots and lots of dirt. So at a neighborhood get-together, I took a poll. A lot of my neighbors use a cleaning service. Good, I thought, they won’t think we’re THOSE kind of people. One lady was very happy with her service, and she gave me their contact information. I called. The next day, a woman came by to give me an estimate. She was Brazilian, dressed fashionably, even elegantly. As she walked through the house she occasionally wiped her index finger along a surface (my bookcase of medical reference books, for example). Her finger left a stark streak in the thick layer of dust. She quoted me her price and I took it, no bargaining. I think I was supposed to bargain, but the price seemed so minimal compared to living in guilty filth. I was ashamed of the state of my home. So they came. The Elegant Brazilian and her crew descended upon our little home and spent three solid hours; they did a good job. After they left, I walked around in awe, and I again felt guilty: It only took these people three hours to scrub this entire home spotless? Couldn’t we have done this and saved ourselves the money? But these regrets faded fast, as the cleaning job faded fast. It took us (and our pets) about 24 hours to create visible clutter. Two weeks later, the countertops are again sticky and crusty, kitty litter has again migrated to the sitting room, and the bathrooms... well, I’ll spare you the details. And I am SO excited that they're coming tomorrow! MiM Mailbag: Have baby AND pass boards? I am currently a resident going into my last year of residency (yay) and was planning on trying to have a baby so that I would deliver at the end of my residency. This would be perfect because in terms of decreasing the amount of time I would have to delay working/fellowship. However, I've been warned by a friend of mine that it might be an awful idea because I would be a new mom while trying to study and take the boards. Anyone with some advice? Do you think it is possible if I plan well and study before that I will be able to pass the boards and have a baby? As a trained economist before I started training to be a doctor, I often think in terms of “rational decision making.” In economics, all of the basic models are based on free markets and rational decision making. One key component of making rational decisions is determining the opportunity costs of one decision versus another. After picking up my daughter from daycare yesterday, I (for some odd reason) started thinking about opportunity costs and the difficulty of actually quantifying it in real life - if only I could assign a real value to what I give up with the decisions I make. Other people may not have such a hard time with this. My husband and I actually started hanging out because I took 30 minutes to make a vending machine selection. I headed down to the basement with a definitive plan to buy twizzlers, but once I realized that this particular vending machine also had sour straws (a blast from the past), I simply could not decide if buying twizzlers was really worth giving up sour straws. As I agonized over this very important decision, my future husband had time to sort two loads of clothes, put them in the machine and wait to add fabric softener. When he saw I was still standing in front of the vending machine, he asked if I was okay, suggested sour straws, and the rest is history! Obviously, my inability to assign a value to sour straws has little consequence in real life, in fact it worked to my advantage since I got a husband out of it. However, when it comes to big decisions I am often paralyzed in trying to decide if my decisions are worth what I lose. I can’t decide what specialty to pursue, I can’t assign value to the time I will give up with the additional training or the additional demands of one specialty over another. I can’t decide if I honestly think I can finish my surgical residency or is the cost of the time I will lose with my daughter too great. I can’t decide when and if I should have more kids. I can’t decide if my husband should really go for that higher paying job in a city 2 hours away, and I know there is no need to make all of these decisions all at once, but I can’t stop thinking about what I’m giving up. Can nurses and female doctors be friends? That is, nurses and female doctors who work together? Can they be good friends? Outside of the hospital setting? I think the answer may be no. I wish it were yes. But I'm pretty sure it's no. Where I work, most of the doctors are older. The nurses are younger, closer to my age, a lot are in the same stage of life in terms of having kids, etc. And there are many that I really like and I sense that they like me. We chat in a friendly way and have a sociable relationship. But I feel like there's this WALL between us that will keep us from ever being real friends. My tip-off is that they all call me Dr. Fizzy, despite the fact that I have asked several to call me by my first name. The only ones who call me by my first name are.... the MALE nurses. Of course, for male doctors, I think it's a different ball game. Because they can flirt. I don't know how many male doctors have become friends with the nurses they worked with, but I bet there are plenty that have started dating. Last spring, my experience as physician, mother and patient intersected through a calamitous pregnancy loss. A few weeks ago (days after I delivered my daughter), my reflections on those events were published in CMAJ. As on-line access requires sign-in, I requested permission to post the entire article here. As always, details of patient encounters have been modified to preserve confidentiality. My physician gave his consent for publication. An Eritrean couple first saw me at the refugee clinic four months ago in crisis with an unplanned pregnancy. "It is good now," he says today, gesturing at his wife's belly. "We are happy." It is their last prenatal visit before being transferred to an obstetrician. He says a little speech, thanking me for what I've done, the support and the kindness. "You helped us when we were new in the country, in trouble." I feel professional gratification that they were satisfied with my services, and tell them with sincere emphasis that it was my pleasure! to care for them. As I usher them out the door I've already forgotten their gratitude. "That was a beautiful speech," says the nurse after they leave. "My patients in Uganda used to do that all the time." I look at her, and I think, Yes, yes it was beautiful. I've heard these speeches before, though, thanking me for kindness, and I feel embarrassed that I'm thanked for dispensing something that cost me nothing: no education, no honing of skill, no effort. I'd rather be thanked for diagnostic prowess or a deftly-performed procedure. But I extend kindness to patients habitually, with an extra measure when I have nothing else to offer. Seated in my doctor's office, I'm in the chair tucked right next to his desk. This is the first visit that I haven't sat casually on the exam table with my legs dangling over the side, the first time I haven't popped in for something routine like a vaccination or contraception or a prenatal visit, where we talk shop and I ask about his daughter, a medical school classmate. This time, I'm here to follow up a disastrous ending to a second-trimester pregnancy. He knocks on the door, steps in, gives me a long, sober look as he slowly closes the door, sits down. He sits in silence. I can't look at him. Finally I force myself to talk, exhausted, crying, despairing and he listens. He leans over his desk, arms folded on it, looking down. Eventually I look at him, at his solemn white-bearded face, and I note that he is flushed. His eyes are damp. And I realize that he is moved by my distress, and I am completely taken aback. Over the next few weeks, I think back to our encounter repeatedly. The memory of him sitting there, seemingly with all the time in the world, fully present, saying little but moved by my situation, is an enormous comfort. His kindness is more dear to me than anything he's done for our family over the years, even his delivery of my daughter. I see him in follow-up two weeks later. The visit is such a solace that I am certain I am being extended divine kindness; my doctor is the unwitting priest. What a profession! What power! I imagine, longingly, that I could only extend the same to my patients. And I realize with horror that this kindness which has impacted me so profoundly is the very one that I use unthinkingly in my own practice, that I dismiss as a personality trait, a last resort for patients for whom I have no medical therapy to recommend. I feel I have been wielding something powerful without any respect for it. Back at work, I determine to be conscious of what I give to patients, and to receive what they return to me. An elderly Congolese patient with severe osteoarthritis has found a French-speaking family physician near her home. She makes a short, thankful speech, and this time I don't dismiss the gratitude as grossly disproportionate to what I've done for her. "Every visit, I felt better just to see you," she says. She hugs me; I feel very slight. She presses her cheek against mine and I can feel and smell her hair. "Don't forget me," she says through the interpreter. "Come visit my home." Weeks later, I see my doctor again. I'm doing much better, and he seems mystified as to why I've come. I wanted to check in, I explain. I can see him trying to figure out what I really want from him, thinking we're doing the doctor-doctor visit dance, where he must guess the investigation, referral or prescription I have in mind. He offers a medication, and I decline. He offers a different one, but I don't want any medications. He asks again why I've come. He has no idea, I realize, no idea how therapeutic his presence is. I don't want to alarm him, so I don't give him the simplest answer: that all I needed, quite literally, was to see the doctor. The fetal heart rate is in the 60’s. I recognize the cadence of tones, without having to look at the monitor. The nurse looks at me anxiously, waiting for instruction on what to do next. Glancing past her, I see she has all the supplies in the room to prepare for a cesarean section. Earlier that day, she had started her labor with a bradycardia, where the baby's heart rate had dropped to the 70's for several minutes. Luckily, it resolved nicely when we changed mom's position. The baby’s heart rate becam reassuring, showing signs of adequate oxygen and health. Her labor had progressed quite well until 8 cm at which point the baby’s heart rate tracing began to have late decelerations, which can be an indication of poor oxygenation. We rolled her onto her left side and applied oxygen, but despite our efforts, the decels worsened. With the next cervical exam, there was only a small amount of cervix remaining (“anterior lip”). The cervix is essentially like a very tight turtle neck that the baby's head has to squeeze through as it passes through the birth canal, with only the strength of the uterine contractions and gravity to help it escape. I placed her in 'knee- chest' position, hoping that gravity and physics might help dissolve the anterior lip of the cervix. I rechecked her and found that my attempts to convince her cervix to dilate were not working. Time. How much time do I have to get this baby out? Assessing a baby during labor is like taking care of someone in the ICU with only one vital sign. No physical exam, no pulse OX, no stethoscope, just a 1 lead EKG to make your diagnosis. In obstetrics, we have only the fetal heart rate tracing and can infer limited information from it. There are a number of fetal heart rate patterns that can tell us the baby is healthy. Most of the “bad” patterns are not very accurate. Around 97%of the time even though the tracing looks “bad” the baby is still OK… but there’s no way to know for sure. Studies suggest that it takes up to 30 minutes of decreased oxygenation to lead to brain damage. I look to my patient, knowing that she wants a vaginal delivery very strongly but she also has put her trust in me to help her have a safe delivery and a healthy child. I look at the clock, and see the pattern has been questionable for about 20 minutes. I need this baby out in 10 minutes or less. Do I take her to the OR? Do I try to have her push? If she pushes through the lip, I’m the hero for helping her achieving the much desired vaginal delivery. If it doesn’t work, we may have to rush the delivery and do a stat c-section. I search the fetal heart rate tracing for one sign of reassurance. Come on give me something I can hang my hat on: an acceleration or some variability. I know the patient can do this vaginally if only we could buy her some time. The tracing, however gives me no reassurance. Let’s try to push one time, I tell the patient. If you can’t bring the baby close enough to deliver were going back for a cesarean section. The OR team begins to set up. I position her at the angle I think gives her the best shot at pushing past the anterior lip of the cervix. With the push, the multiparous cervix dissolves and I feel the baby entering deeper into the birth canal.Yes, I think internally, this is going to work. As the contraction finishes, the head retreates back up into the pelvis and the cervix reappears. Crap. The fetal heart rate is in the 60’s. I recognize the cadence of tones, without having to look at the monitor. I meet the nurses anxious gaze. The art of obstetrics has failed me and now the science of it is pounding in my ear drum telling me that time is up. I have to call a stat section or the risk to harm to the baby will quickly climb above the risk of cesarean section to the mom. The moment I call it, the room becomes well-oiled chaos. As we sprint to the OR, I wonder to myself if maybe we should have tried one more push? But on arrival to the OR the nurse rechecks the heart beat, finding it still in the 60s. Moments later I pull a screaming healthy baby girl through a low transverse uterine incision. The cord had been wrapped tightly around the shoulders, preventing her descent. The baby comes out screaming, filling her lungs with much needed oxygen and quickly turning a healthy shade of pink. The mom cries gentle tears of relief. Later in the waiting room, I let the family know mom and baby are fine. The dad thanks me, with tears in his eyes. These are the hardest calls to make. I had mere moments to decide the fate of this precious woman and her child. In this situation, the safest thing for the mother was a vaginal delivery whereas the safest thing for the baby was a cesarean section. I try my best to use the science available to balance the pendulum of mother's and baby's safety to achieve a healthy delivery for both. In the end, that's what matters most. *All patients examples are either used with the patient's permission or are a fictitious conglomerate of multiple patient encounters. I often feel like the odd man out. Here, I'm the wanna-be doctor mom. At school, I'm the 27 year old sophomore who has been married for almost ten years and has two kids. At the kids' events, I'm the young mom, 27 with a 9 and 6 year old (I'm often mistaken for the big sister). In parenting circles, I'm the mom with a medically-needy kid...nobody else is dealing with tube feeds, a half dozen specialists, bi-weekly therapies, and med schedules. With friends, I'm usually the odd one out on all accounts...our friends are just starting to get married for the most part, they are childless, and they are out of school. Sometimes I feel like I've done everything in reverse. I graduated at 16, got married at 17, had my first child at 18...I didn't figure out who I was or what I wanted to do until much, much later in life, and of course even that isn't typical or easy. When you stick out all the time, it is easy to feel like you aren't doing anything right. It is tough to be a premed student/mother of both a typical and atypical kid/wife/volunteer/friend/human and there is a lot of juggling involved. At times I wonder if I'm crazy to even be attempting this, but then a well-timed bit of encouragement helps restore my faith in this endeavor and my ability to see it through. Math isn't my subject. It never has been. In grade school, math was the only subject I was allowed to make B's in. I chose my major based on the fact I only have to go up to Cal I...not Cal III like some other science majors. However, I made a 110 on the first exam in PreCal this semester AND my professor sought me out during class to try to poach me for the math department! She told me about a math major premed she knew who went on to do very well and now works in medical modeling. She said, "Not everyone is so gifted in math, you know!" I never thought I'd hear something like that! I'm taking Cancer Biology this semester. It is a special topic class, which means it is a higher level course and it isn't always on the schedule. The hard pre-reqs are Bio I and II and Chem I and II, but on the first day, the professor said, "If you haven't taken Biochem and Genetics, you should definitely think about dropping." I haven't had either, but I stuck it out. We had our first exam a few weeks ago, a comprehensive midterm. I made 303 neon notecards for it and studied a lot. The night before the exam, we had tickets to the Rodeo. The kids really wanted to go and I didn't want to disappoint them, but I knew the exam was going to be tough. I studied very hard that week and opted to go to the Rodeo with the family the night before the exam. After we got home, I hit the books again and everyone else went to bed. The next day in class, I was the first one done with the exam (which was mostly short answer and essay, no multiple choice). I re-read my exam a few times and submitted it. I hate being the first one done...did I do really well or really poorly? Ack! The following class period, the professor handed back exams. She pulled me aside and said, "You're the one who finished in 45 minutes, right? And you got an A?! That is the best use of time I have ever seen!" Then she said, "Aren't you the one who emailed me about your daughter having pneumonia a couple of weeks back?" I nodded and she went on to say, "And you're doing all of this with kids at home? I'm so impressed at how well you are balancing everything!" That kind of recognition felt really amazing, especially because prepping for that exam and spending time with the family had been a bit of a balancing act. I went out to dinner with my best friend (who is also my sister-in-law) last week, and she said, "I always use you as an example all of the time when I'm talking to people." I looked at her quizzically and ask, "What kind of example?" She said, "When I'm talking to people and they say they can't do something for any reason...like they are unexpectedly pregnant and can't finish school or whatever. I tell them about you and how you didn't to things in the 'right' or 'normal' way, but that you are premed now and doing really well with everything." That might be the highest praise, because it came from someone who knows me almost as well as I know myself. It is amazing the effect a few encouraging words can have on your outlook and commitment. I hope that at whatever stage of this game you are at, you have people cheering you on and helping you see how well you are doing in the various aspects of your life. If there is one thing I've learned, it is that this kind of life is a circus and all the MiMs I know are extremely gifted jugglers. We all deserve a round of applause every now and then. Both my husband and I have out of control cholesterol. Out of control good, that is. We've both had ours checked in the last two years and been surprised at the results. My HDL is 80, and while I can't remember the LDL and triglycerides offhand, both were in the 60s or 70s. Sort of the same way doing well on a test makes you want to study more, having good cholesterol makes me want to eat healthier. My husband and I are far from being health nuts. Very far. We've gotten better in the last few years, since my schedule has allowed me to do more home cooking, but we still get fast food probably twice a week. And the fast food isn't, like, a grilled chicken sandwich. My husband gets the Angus bacon burger with approximately 10 million calories, although I get the Southern Style chicken sandwich with only 5 million calories. And other times when we eat out at a restaurant, it isn't healthy stuff either. Although this is way better than in residency, when my personal food pyramid probably would have allotted a large space for the vending machine. I do try to cook as much as possible. I figure anything I make at home, even the stuff that comes out of a box, is better than eating out. Even TV dinners, which are probably the equivalent of chugging from a salt shaker, are better than eating out, because the portions are way smaller. Whenever I eat out, I usually end up feeling nauseatingly full, whereas I rarely feel that way from home cooking. 1) I buy big bags of frozen vegetables, mainly broccoli, corn, peas, and carrots. Whatever I cook, no matter what it is, I dump a bunch of vegetables in it, and then add less of everything else (i.e. meat, pasta). I'm sure frozen veggies aren't as good as fresh, but I'm not Susie Homemaker and I just don't have time to chop fresh vegetables like I used to do when I was an MS4 (that was the most free time I will ever have in my life again until I retire). I figure even if the veggies have zero nutritional value, they at least take up space and make us eat less of the other stuff. 2) I only use olive oil. It's the only oil in my house. I use it place of any other oil that's been called for in a recipe and there have been no major consequences. I sometimes use it in place of butter, but that's been a little less successful. 4) I drink only water. When I gave up soft drinks a few years ago, I instantly lost like five pounds without making any other changes. The only drink we have in our house right now is milk. I even get water in place of a soft drink at fast food restaurants. So those are my easy strategies for trying to be healthier. What are yours? My 2-year-old son is learning to pee on the potty. When I ask him if he would like to go to the bathroom, and he shouts M&Ms!! In our small community you will find a similar response from all toddlers, it is nearly universal. A behavior modification tactic, the children are offered candy as a reward. At our house it is one for sitting on the potty, two for peeing and three for poop... although we have not had any "poops" yet. To the best of my knowledge this stems from a popular pediatrician group that many families use. It was the doctor that suggested this positive reinforcement system- of course with the reminder to always brush your teeth! This has me thinking about how our practices influence the populations that we serve. Especially when it comes to non-evidence based measures, where personal style has an influence and regional preferences may exist. I can think of a couple of examples from Cardiology. For one stress testing. When selecting an exercise or pharmacologic stress you may choose your imaging modality. Depending on the strengths of your lab you may favor echocardiography or nuclear imaging. Personally I prefer stress echo because you can look at the valves and diastolic function (sans radiation), but you must have a great tech who can skillfully scan the patient as they hop off the treadmill. Another example is the management of acute MI (heart attack). Depending on where you live the standard may be primary PCI (going to the cath lab) or if you are in a rural area thrombolytics (clot busters). Also when in training the way we were taught seemed like the obvious and natural way- but then when emerging into practice there were some real surprises. As far as I know (the little-people docs out there can set me straight!) the M&M potty training protocol has not been subjected to a randomized controlled trial. It probably just worked for my pediatricians kids- and so will it for the rest of us. Now for the next challenge, his teacher says that he is ready for underwear at school. So our bag is packed for Monday- Elmo undies and extra pants for accidents! The New York Times has an article up titled “More Physicians Say No To Endless Workdays” (April 2 2011), which features an emergency room physician, the daughter and granddaughter of long-time practicing family physicians. She had originally planned to go into practice with her father in her small hometown, but for several reasons decided to go into ER instead, and after she had twins, she took a salaried position as a part-time ER doc. Basically, the author explores this cultural shift in medicine: more and more, doctors are turning away from regular practice and more towards part-time or shift work. More and more, doctors want to be able to go home at night, with no risk of being called in, or called, at all. Doctors want a family life, and this may be linked to the fact that more doctors than ever before are women, and moms. The article is interesting and timely- but what is more interesting to me, and sometimes, frankly, disturbing, are the comments. The comments attached to an article like this are a window into the room where our patients are talking. Some comments were supportive of the trend, and they say things like “I say YAY! Good for docs, good for us! I'd rather be seen, whether in an ER or a clinic, by someone who is not overwhelmed, not heading towards burnout, someone who can still love their job because they have time to have a life.” But others says things like, “If an individual who has chosen a medical career as a physician is unhappy with the number of hours s/he must work, I would suggest changing to a position where family time is valued, say as a greeter at a Walmart”. Ouch, THAT stung. If I’m a primary care doc and I work part- time, and I value my family and my baby, does that somehow signify that I don’t care about my patients, that I don’t belong in medicine? Could it possibly mean that medicine needs me, needs moms and our viewpoints and experiences? Could it signify that I provide better care, because I have balance and can be present with my patients? I wanted so much to grab a sympathetic doc and discuss this article, and the way these comments made me feel. And I realized, that’s Mothers in Medicine. Here is the link to the article and the 51 comments. I want to read YOUR comments!